- Added Playmaker Floppy Kit to bundle! From now until November 28th, take 50% off any order on 3DSauce.com! Use coupon code "Thanks50" during checkout. Support is really good. He always replies my mails as fast as possible. I used Blackjack for Playmaker package. Thanks for the kind words Fahrettin. Gratz on publishing! All kits have now been updated to support Unity 2017! 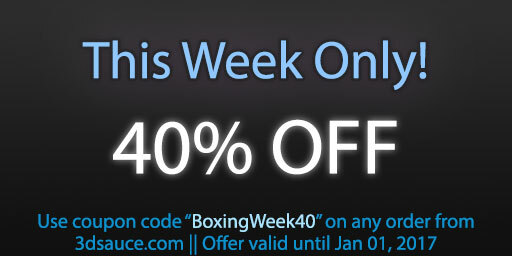 To celebrate, we'll be offering crazy sales on our website for the next two months! Keep your eyes open and don't miss out! Let me know what you are looking for and I can keep you updated! To wrap up our month of discounts, from now until November 1st we're offering a whopping 50% off when you purchase the Playmaker Essentials Pack on our website! Thank you to everyone who helped make it a success! All of our templates are currently part of the Asset Store Mega Sale. Stop by and get 30% off any template from November 27 until December 8! Playmaker Essentials Pack is currently 30% off! Take advantage of the Unity Asset Store madness sale until May 11.